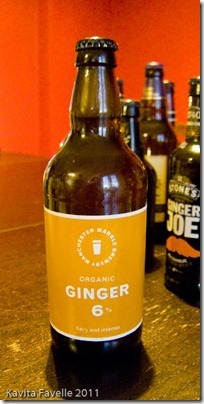 As regular readers will know, I’m a big fan of ginger beer – but it has to be right. 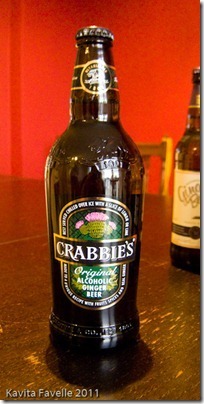 Personally, I want an alcoholic ginger beer to taste of beer, but with plenty of ginger fire to it as well. Over the years, I’ve found one or two fair examples but it’s always frustrated me that no brewery has got it quite perfect. So, I got it into my head to do a small taste test and see if I could, once and for all, identify the perfect ginger beer. The trouble was, once I’d finished gathering all the bottles I could find I realised that trying all 20 (yes, twenty!) by myself was likely to be fatal. Luckily, I had a taste test or two to model my work on, and Sarah of Spoon PR kindly volunteered Spoon HQ as the venue again so I assembled my trusty team of tasters and we set to work. The beers were all tasted blind and scored on appearance, aroma, texture, and most importantly taste. These numbers were then carefully added and averaged using our scientifically determined weightings (we decided taste as twice as important as each of the other aspects) and a ranking was determined. We also asked our tasters to give a gingeriness rating, to help analyse the beers, though this didn’t feed into the scores. The drinks themselves rapidly fell into two categories – beers that had some (although not always very much) ginger, and sweet alcopops that had little or no hint of real beer. It almost seems unfair to put them in the same test, so I’ll list the top three alcopop-style ones first. I have to admit that I came very close to leaving this out, despite it being by far the best known alcoholic ginger beer out there. Not because I have anything against it, but somehow I just forgot to put in on the list until we were already at the test venue and were setting up. A quick run to Sainsbury’s spared my blushes, and I’m glad to see that my mercy dash wasn’t wasted. With a respectable overall score of 11.50, this is the least gingery of the top three with a GI (Ginger Index) of 4.33. It actually ranked second by taste scores alone, but was knocked down into third by the other attributes. This comes from my local Aldi, the discovery of which actually pushed me into getting on with this whole test because I had nightmare visions of it having come and gone by the time I did the review – it seems the nicest things I find in Aldi vanish, never to return, the moment I decide I like them. I’m happy to report that, as of yesterday at least, Aldi have lots and lots of bottles and given the very reasonable price of £1.39 I can heartily recommend it. Receiving an overall score of 11.67 and comfortably the highest GI of anything we drank on the night, at 6.00 (the gingery kick rather worrying described as lingering in the throat “like an angry badger”) even the “ginger beer should taste like beer” contingent loved this one. It not only packed a powerful ginger taste, but a powerful ginger smell too – an aroma score that helped lift it up into second place. 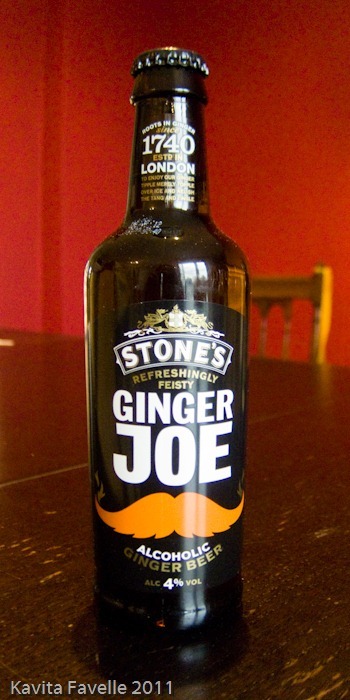 Just edging Aldi’s offering out, Stone’s (who know a thing or two about ginger!) 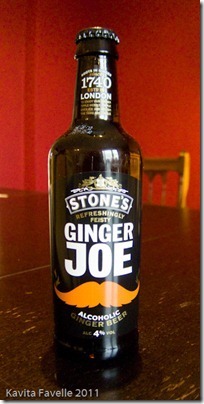 Ginger Joe scored 11.83, and won comfortably on the pure taste ranking as well. Not quite as gingery as the second place drink with a GI of 4.50, several tasters mentioned pepper as well as ginger in the aroma and the taste delivered everything you expect from this style of ginger beer – sweetness, bubbles and a good ginger heat. 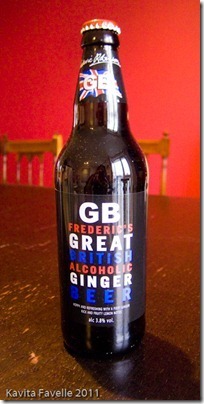 So, that’s enough of sticky sweet soft drinks – on to ‘beery’ ginger beers. One of the entries into Sainsbury’s Great British Beer Hunt (a woefully poorly advertised contest IMHO, but that’s probably a rant for another day) this gained a respectable overall score of 11.50, placing it level with the third placed alcopop. The least gingery of the top three, with a GI of 3.50, it delivered just the right balance of beer and ginger. 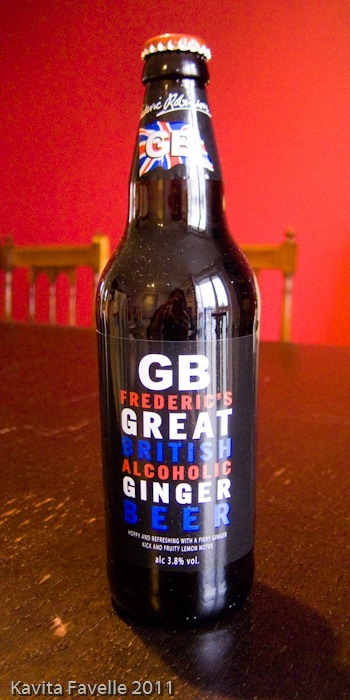 Although it’s called Frederic’s, it’s actually brewed by Robinsons, of whom we shall hear more later. This was one of the two beers I was familiar with – and enjoying – before the test, so it’s something of a relief to find this placing a very strong second with an impressive mark of 12.67, well above the highest ranked alcopop. The highest GI of the top three at 4.17 (although interestingly not the most gingery beer on the test) and the highest taste score of everything on the test, this is a very well deserved second place. 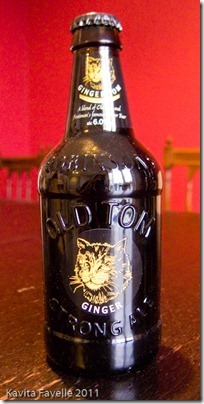 The second of Robinson’s beers in the top three and a comfortable winner with an overall score of 13.17. Slightly lower in ginger, with a GI of 4.00 and ranking top in every category but taste, where it only lost out (just) to second-placed Marble’s Ginger 6. It looked great, smelt great and tasted great too. 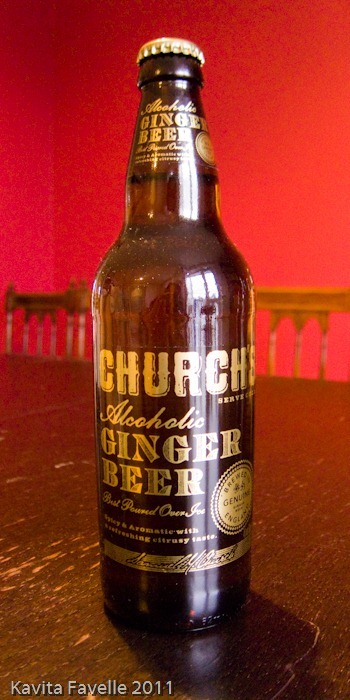 What more could you ask of a ginger beer? Tasters “could quite happily drink a few pints” and it even brought out their philosophical side – “I would buy a used car from this beer” – and no, this wasn’t the last bottle of the evening! A well deserved win, and one that I’ll personally be keeping an eye out for the next time I’m restocking the beer cupboard. 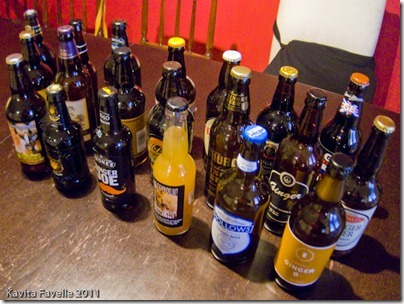 Although the winners were all good beers, we were all surprised by how average a number of the drinks in the test were. A lot of them tasted like fairly bland beer with little or no hint of ginger in the aroma or the taste, yielding more than one comment along the lines of “They forgot the ginger”. Some were spectacularly below average. I won’t name and shame, but I enjoyed reading notes of “Tastes like an evil martini”, “like left over beer”, “for god’s sake, please make this go away!” – not, I have to say, all about the same beer. 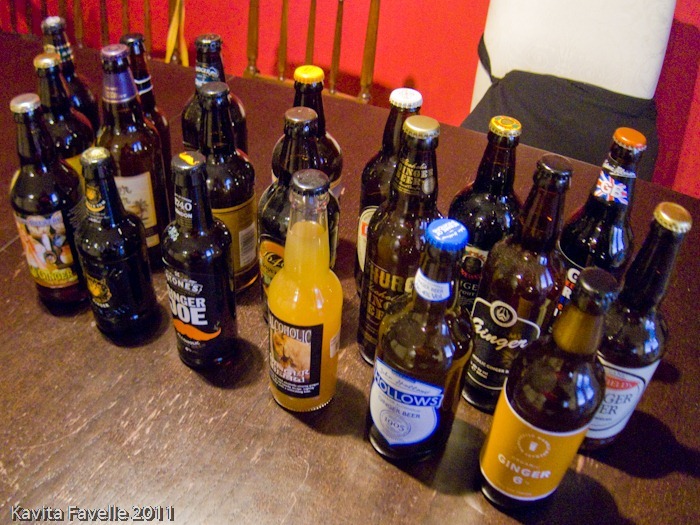 Here is the full list of beers that appeared in our test, ranked in order of final score. Huge thanks go to my brave, long suffering tasters – Becca, Joe, Simon, Dom, Matthew and of course Sarah for the venue. Also to my glamorous assistant Kavey who did all the blind pouring and record keeping. Most of the beers I stockpiled on various shopping trips. A few were very kindly provided to us for the test – my thanks go to Bath Ales, Robinson’s, Sharp’s and John Hollow’s for their help. 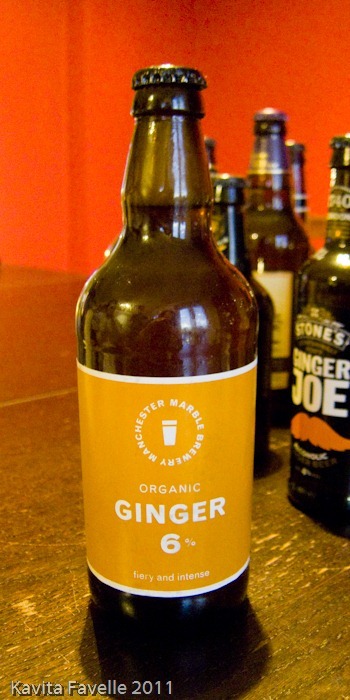 Did we miss out your favourite ginger beer? Or did we taste it and fail to recognise it’s brilliance?! Let us know. Oh, brilliant round up! So happy to see Marble an easy second place and first place on taste alone too, it’s always reassuring to see my favourite northern mircobrewery shine. I do like how diplomatic you were about the less favoured beers too, as some of them were truly dreadful. I wish I could remember which one tasted like it had been made by evil bees! Oh well, a good solid top six to buy, or in Marble’s case continue to buy, in future. Reading your blog was so much more enjoyable that drinking those beers. I thought I liked Ginger Beer until that night. Welcome to your very own blog! I look forward to reading more. 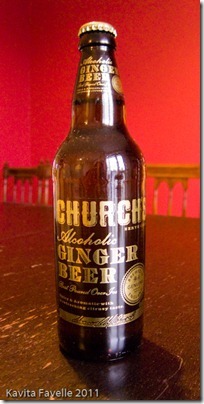 I love ginger beer too but am always disappointed by the weak taste of the alcoholic varieties. Hopefully your guide will help me to fix that. I can’t get over how many alcoholic ginger beers exist. You missed the fabulous ROYAL JAMAICAN Ginger Beer. It would have topped your Alcopop category. But alas like you, my favorites disappear, as in Binny’s says their distributor is out (for several months now). Guess a trip to Jamaica to suss the dire matter out this winter would be nice!